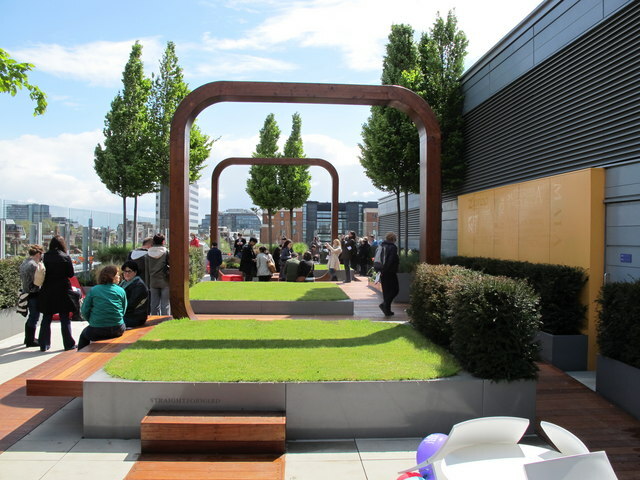 The Friends garden is a space for hospital staff to sit, relax or eat. The architect Spacelab produced a concept drawing, Andy Sturgeon then designed the garden. It has two prominent arches, trees, lawns surrounded by wooden seating, small hedges, plastic hairs and tables. It is surrounded by glass panels as windbreaks. It is on the 7th floor of the Octav Botnar Building. This page has been viewed about 1063 times.